MIS student Lingli Gan presents a progress report on a tool being developed through a an IS&T Capstone course that will help UNO measure and present the impact of campus community engagement efforts. MIS student Arti Mukati (right) works with a fellow student on a new community engagement measurement tool for UNO. "We are part of building the whole system, end to end," she says. Sachin Pawaskar, Ph.D., a professor of practice in UNO's College of Information Science & Technology, hopes the tool being developed by his students will provide the breadth and depth of UNO's contributions and partnerships throughout the Omaha metro area. Students participating in the MIS Capstone not only gain the skills to earn a graduate-level degree from UNO, but practical skills desired by employers as well - all while giving back to the campus. 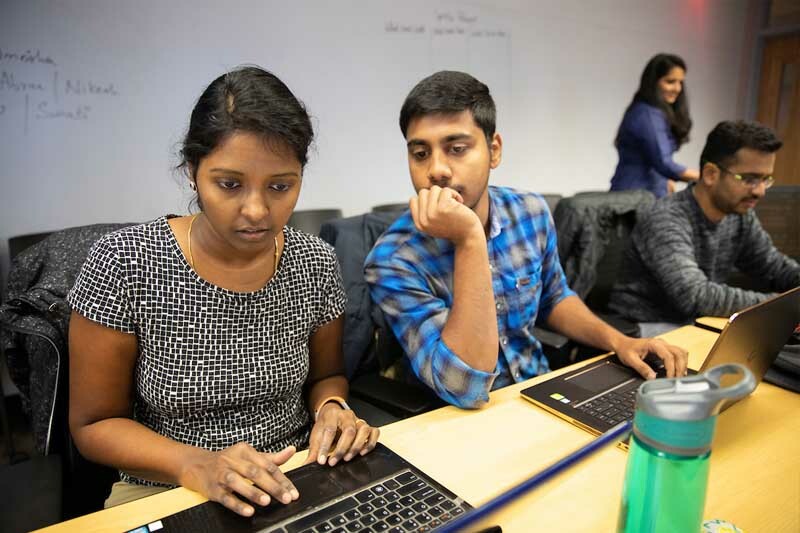 The students in the Management Information Systems Capstone class are currently finalizing work on an important group project; however, it is unlike any group project they've worked on prior. Their teacher, Sachin Pawaskar, Ph.D., is a professor of practice in UNO's College of Information Science & Technology and a strong believer in community engagement for both students and faculty at UNO. “Everybody, as citizens of states and our nation, should understand that community engagement is an important piece of making our communities better," he says. The class’ current project reflects that. Students are building a web-based tool intended to help make measuring UNO's massive engagement in the community easier and more centralized. 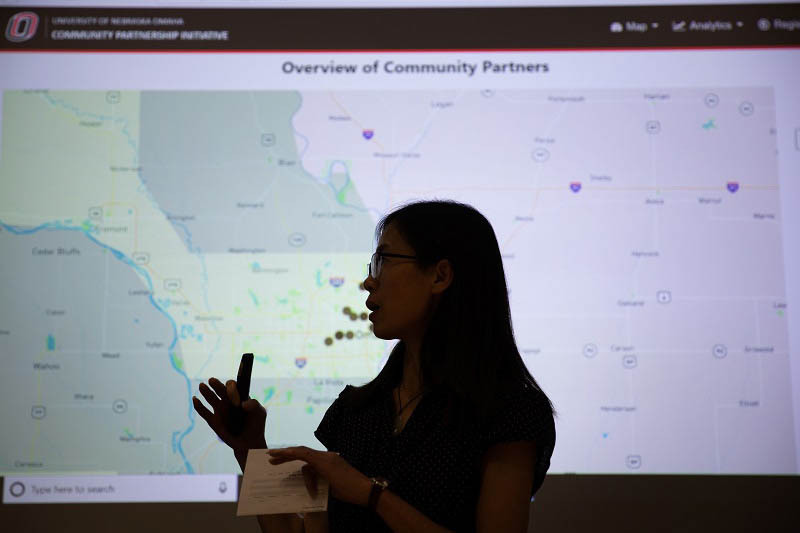 Students, faculty and staff at UNO will soon have new, “holistic” web application for entering community engagement project and partner data to share with stakeholders and the community. The project is a signature initiative of the UNO Community Engagement Measurement and Assessment Committee, which was tasked to design a new approach for systematic and strategic community engagement data gathering, analysis and reporting. The tool will also help align data related to community engagement efforts at UNO more accessible and consistent. 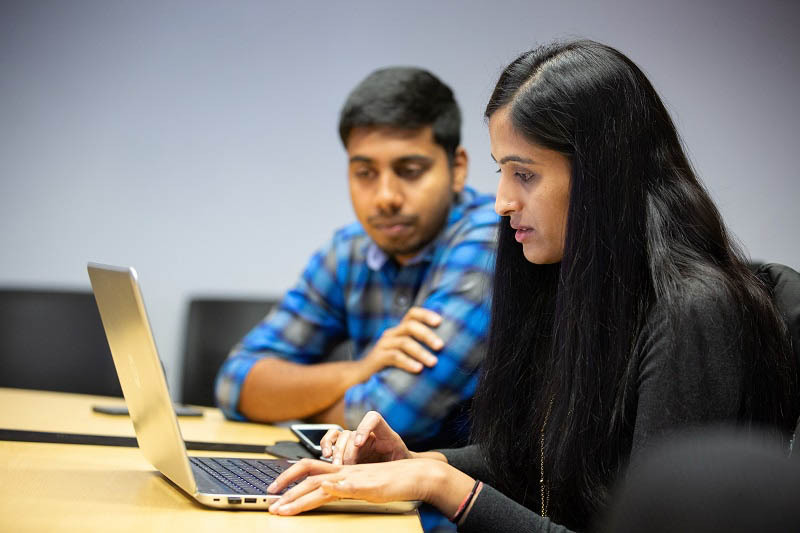 "The Capstone is not only about learning a specific technology, but it is giving the students a platform where they learn how collaborate into teams," explains Arti Mukati, an MIS student enrolled in the Capstone course this fall. "We are part of building the whole system, end to end." 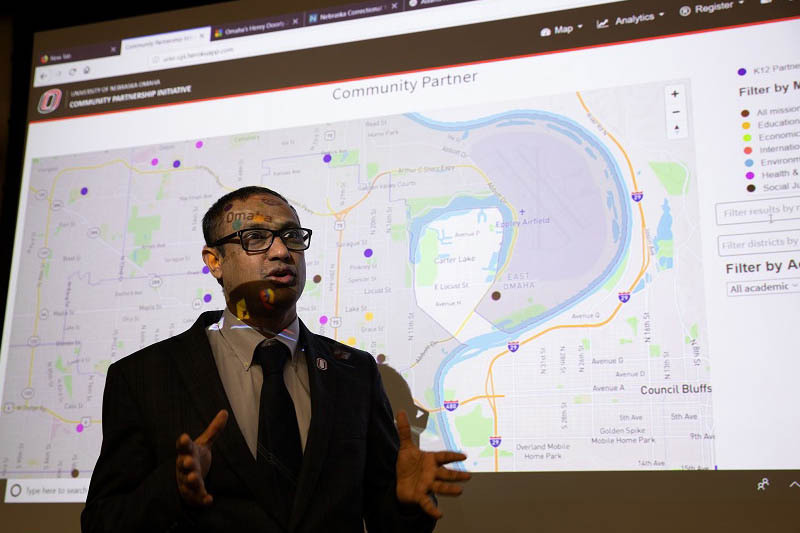 Pawaskar explained that, in addition to showcasing UNO's current efforts, the tool will allow units across campus to reflect on where they can do better in terms of serving the community and identifying areas in need. It is just one of the many projects Pawaskar has helped coordinate for his students in order to give them hands-on experiences in their field.